Monday morning, June 22nd , a Seffner resident was enjoying the wildlife in his apartment complex when he noticed a turtle laying eggs on the fence line around the pond. He was not the only one to notice what was going on. Suddenly, a young red-shouldered hawk swooped down to hopefully grab a bite, but instead slammed into the chain link fence. Luckily for the hawk the resident gave us a call. 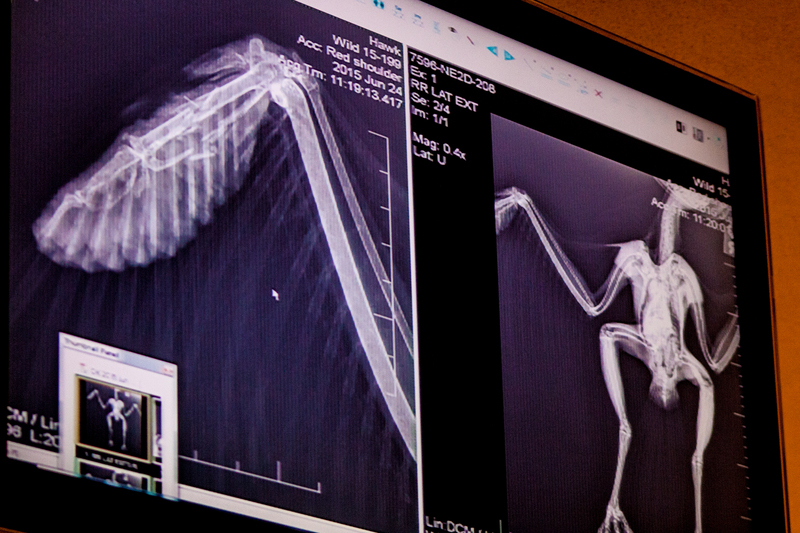 When our transporter arrived she was able to assess the bird and determine it may have a left wing fracture. The bird was taken to Kris immediately to begin treatment and stabilizing. Once the bird was stable, it was admitted to the Animal Care Center at Busch Gardens Tampa for x-rays and a full examination. 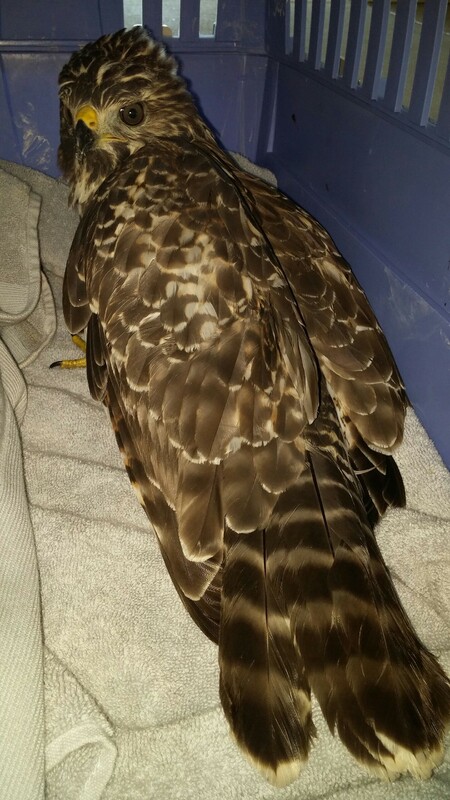 The x-rays did reveal a repairable fracture of the metacarpals in its left wing. 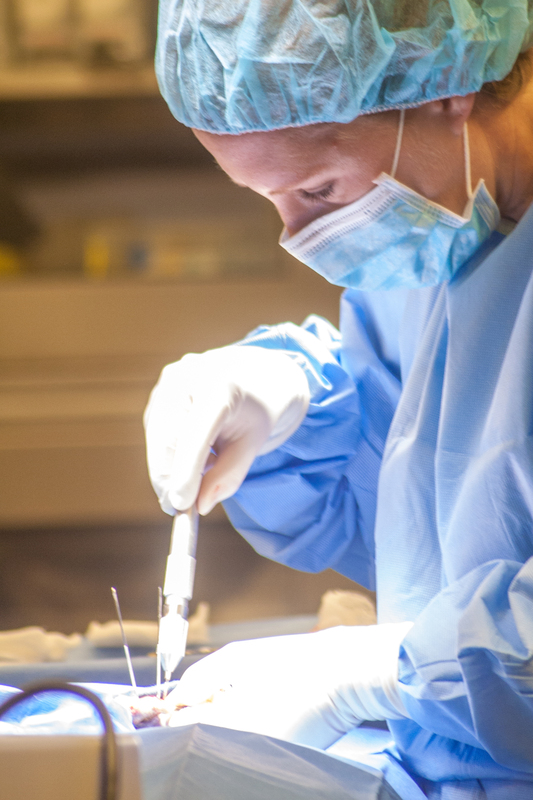 On the 25th one of the Busch Gardens’ vets, Dr. Maria, operated on the hawk and placed a number of pins in the wing. The surgery went excellent; the hawk has reportedly been eating very well and has a great attitude. It will remain at Busch Gardens where it will receive physical therapy every few days and once healed the pins can be removed. At that point it will be sent to a facility with flight cages so it can build up its wing strength and practice hunting before its release. Oftentimes we see injuries similar to this where a bird has struck a man-made object such as a chain or wire fence. When a raptor is focused on their next meal they do not always notice the unnatural structures we install. We ask that when landscaping you please be aware of the wildlife and consider installing an easily-visible fence over a chain or wire one. Make sure to follow our blog for updates on this case and others like it!